What is the good Far Cry 5 ending? 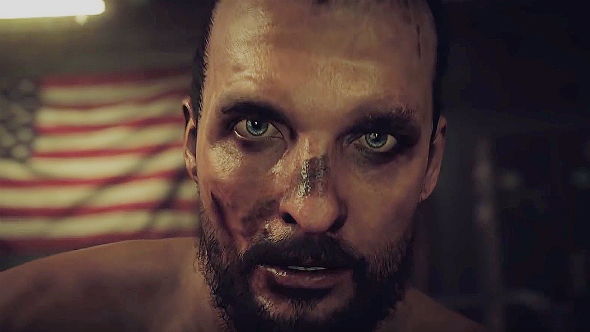 Multiple endings make a return for Far Cry 5, letting you choose between three possible conclusions for Hope County: one positive, one horrible, and one Far Cry 5 secret ending you can get within the first ten minutes of play. Just like the hidden conclusion to Far Cry’s Himalayan outing as you surrender yourself to despotic king, Pagan Min. 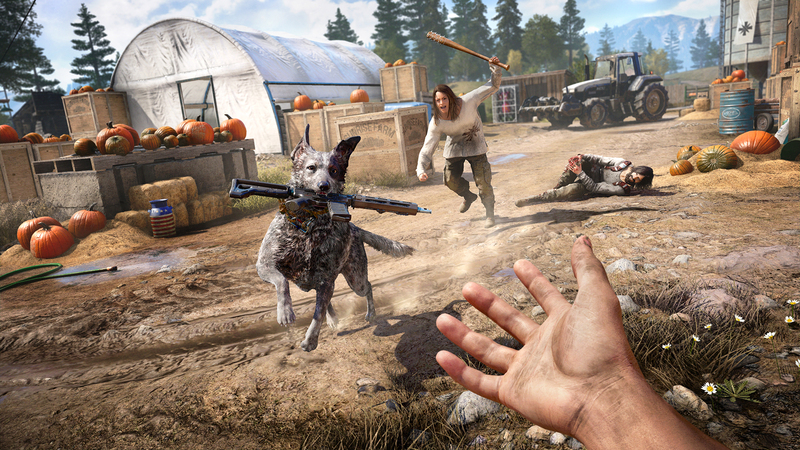 Far Cry 5 takes place on a huge Montana-themed map with plenty of activities to keep you busy in the American prairies. However, even if you do just blast through the main campaign you’re still going to be enjoying your cult-infested US holiday for some time. That means you want the ending to be exactly what you want for your silent protagonist and his law-enforcement buddies. Each Far Cry 5 ending is pretty vague and only one offers you the chance to give Joseph Seed what for, but if you are a true completionist, here is what you will see in each ending and how to unlock them all. Huge spoilers ahead – you cannot say we did not warn you. Once you have eliminated all three Seed siblings, make your way back to the same church from the start of the game and make a new attempt to arrest Joseph Seed. Once again, you will be confronted with the option to carry on with the arrest or walk away – for the good Far Cry 5 ending you will want to forge ahead with the arrest. Of course, Joseph Seed will not go willingly and a boss fight ensues. Here you will face off against every ally you made throughout the game, all of whom are high on Bliss. Once you eliminate one, you can revive them in order to have them join your side in the fight against Joseph Seed. Once you have restored all of your allies this fight becomes very easy, especially as allies can revive you. After you have downed Joseph Seed a new cutscene will play out, with Sheriff Whitehorse and your friends encircling and finally arresting the enigmatic cult leader. Then you will see a bright flash from an apparent nuclear explosion – The Collapse that the cult were preparing for. Your allies will rush Seed into a truck in an effort to outrun the blast and any fallout. In the next scene, the truck is speeding through a burning forest before crashing into a fallen tree, which knocks you unconscious. When you come to you will hear Seed whistling Amazing Grace as you are dragged across the ground. You eventually arrive at Dutch’s bunker, restrained and sitting across from Joseph Seed with Dutch dead on the floor nearby. Seed launches into another monologue about how he was right all along and how you truly are witnessing the end time. He proclaims you as the first member of his new flock and the credits roll. If you really do not fancy the boss fight and even find yourself coming around to Seed’s rhetoric and accusations then you might consider leaving him and his flock to continue their occupation of Hope County. For this Far Cry 5 ending you simply opt to walk away rather than attempting to arrest Seed. Once you have chosen, Seed will forgive you, touch his forehead to yours and tell you to take your comrades and go. The Sheriff says he is driving you to Missoula where you will alert the National Guard of the Eden’s Gate cult, but just as you leave Seed’s compound the screen will start to turn red, Sheriff Whitehorse will put the radio on, ask if you are alright, and then the screen will cut to black. It is not made clear whether your character died or was affected by the Bliss, but the fact that the radio is playing the same song that Jacob Seed used to brainwash his victims suggests that the player character was hypnotized and forced to kill his colleagues. Fancy beating the game in ten minutes? Of course you do. Just like Far Cry 4, you can take the smart route out of Far Cry 5, which avoids all conflict and possibly even nets the most positive outcome for Hope County of all three Far Cry 5 endings. To unlock the secret ending all you have to do is wait patiently rather than cuff Seed upon first meeting him. You will all leave safely and presumably get the National Guard involved rather than attempt to liberate the region on your lonesome.